Brace yourself, Sacramento… the Unitek College dental assistants are coming. According to Dr. Seuss, “teeth never go out of style,” and in this case, the Bureau of Labor Statistics backs up his claim. There’s never been a better time to be entering the job market as a Dental Assistant. 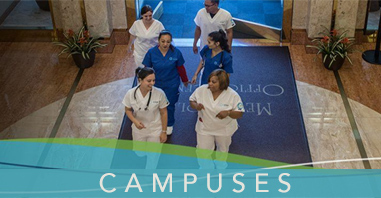 With the number of jobs growing by close to 25% over the next ten years, it should come as no surprise that dental assistant associates degrees are in demand, which is exactly why the Unitek College Sacramento campus is hard at work planning the launch of their own dental assistants program next month. In celebration of the new program, we’ll be taking a closer look at the world of dental assistants over the next few weeks. A day in the life of a DA is hard to describe in just one post-your work could take you in any number of directions as you work side by side with dentists and dental hygienists. That day of work could involve taking x-rays, scheduling appointments, or assisting your dentist directly. Let’s just say it’s a lot more than just colorful smocks and handing a dentist the tools she needs. This is a dynamic job in one of the fastest growing career fields in the United States, which means the possibilities are endless. To put some perspective on the numbers, while dental assistant jobs are growing at a rate of 25%, the demand for police officers is at 5%, chefs are also 5%, and high school teacher jobs are only growing at about 6%. If you’re looking for a degree that puts you where the work is, it’s tough to beat the opportunities ahead of qualified dental assistants. And think of it… you’re literally helping put smiles on peoples’ faces. What’s not to like? 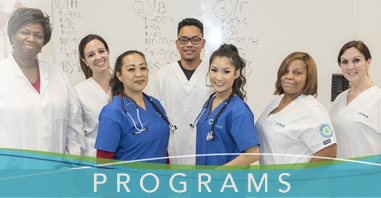 Don’t forget to check back each week as we continue to explore the career opportunities ahead of our Dental Assistant graduates, plus some sneak peeks at the program, the people making it happen, and more from our Sacramento campus.